Electrostatic discharge, or ESD, is a huge risk in a number of industries as it can endanger both products and employees. 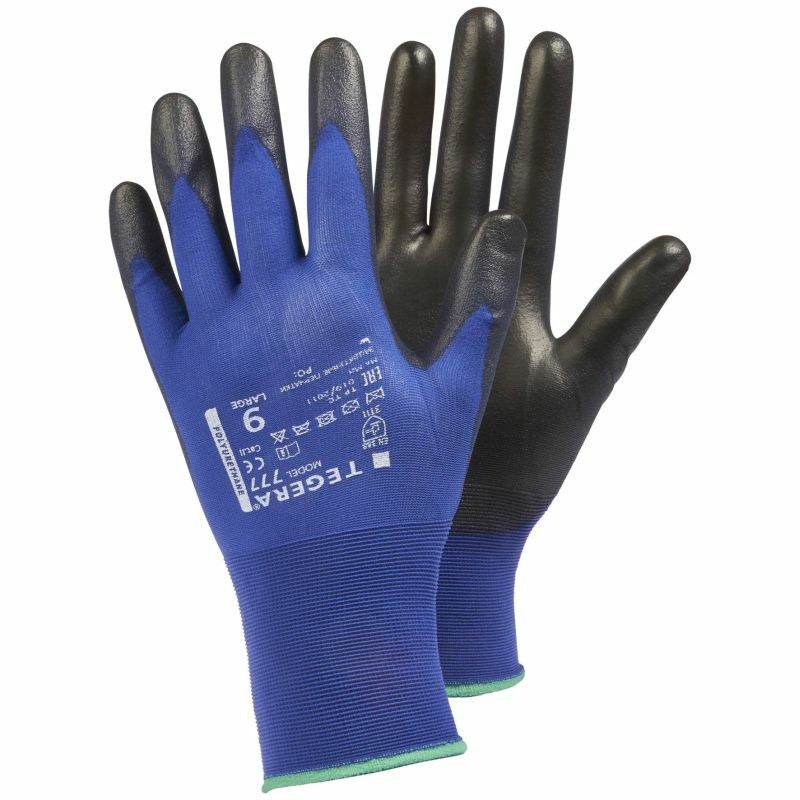 The Ejendals Tegera 777 ESD Anti-Static Gloves are ultra-thin synthetic gloves which have been developed to provide full ESD protection. 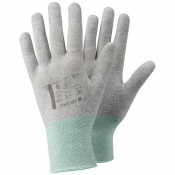 Highly comfortable to wear and featuring excellent fingertip sensitivity, the Tegera 777 are ideal for fine handling tasks. 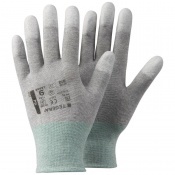 The Tegera 777 have PU-dipped palm and fingertips, ensuring excellent grip for handling of sensitive components. This coating also supplies water and oil resistance, making the 777 suitable for oily and/or greasy environments. The Tegera 777 are ultra thin, highly flexible and are also breathable thanks to a nylon mesh liner. 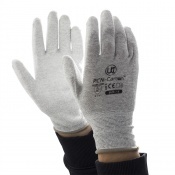 This makes them feel like a second skin to wear, and they remain comfortable even for extended periods of use. The Tegera 777 ESD Anti-Static Gloves are supplied in seven different sizes. Please consult the table below for dimensions and select the appropriate size for you from the drop-down menu above.